The idea of mystery boxes is not new to the twenty-first century. The craze of mystery boxes has been growing over the years and has spread worldwide through social media plugins such as YouTube. A common issue we found with this trend is that a variety of individuals were purchasing high-priced mystery boxes that often contained random and used items, resulting in unsatisfied customers. Through bad publicity, mystery boxes were deemed as a waste of money due its unreliability to deliver promising products. We wanted to be that company who changed all of that. We decided to create budget-friendly boxes that provide customers with fantastic products often found in latest trends. Our aim is create a product that delivers promise and a chance to try out new products or finally be able to cross out those items from your wishlist. Furthermore, mystery boxes are ideal for gifts as they can be purchased as a gift for your friends and family members or as a treat to yourself. A common trend within our mystery boxes is the value of money. We take pride and passion into our mystery boxes, as we put the customers’ satisfaction above else. We are constantly finding new products to add to our mystery boxes so if you are a recurring customer, you can be rest assured to know you won’t be receiving the same items as your previous mystery box. To do this, we scout for brands that are part of the popular trends in today’s markets and incorporate them into budget-friendly boxes. All of our mystery boxes are packed with care and attention, ensuring that your money is well spent. As we are a startup company, our current main focus is to provide beauty mystery boxes for the everyday makeup addict. 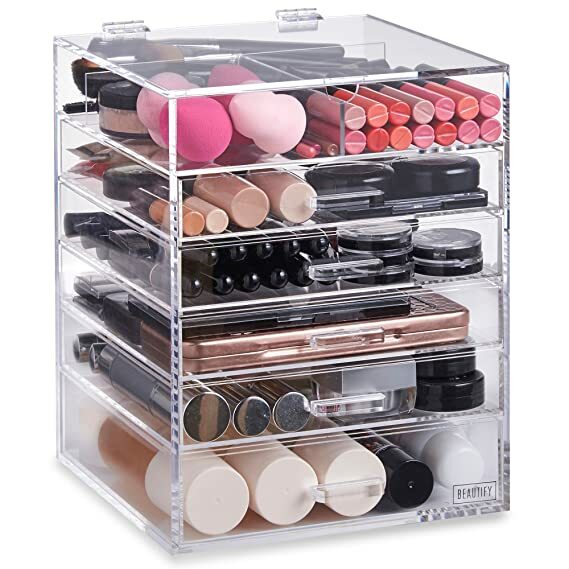 Based on research and personal experience, we have found that the makeup industry is continuously growing and therefore, provides the perfect mystery box. We have scouted various products from a large selection of brands to create beauty mystery boxes that attract beginners and professional makeup artists worldwide. Just like you, we are just as passionate about the items you receive. Whether it be a new eyeshadow palette or a makeup bag, we believe that we have discovered the secret to the perfect beauty mystery box.